Sony is always unique in manufacturing their products by keeping some features which is meant only for Sony products. Here is yet another such product from Sony, the Xperia C5 Ultra. The uniqueness in this smartphone is its selfie-focused 13MP shooter. If you are really fond of taking selfies, then this 6-inch smartphone is for you. Let's take a look at this new smartphone from Sony in this full review. 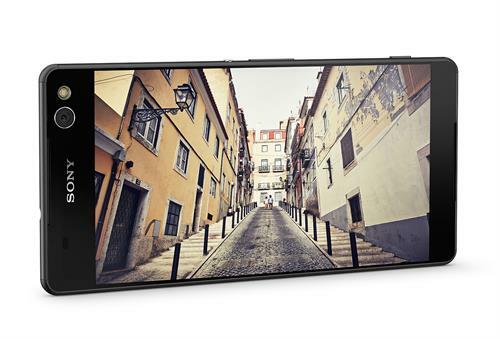 Sony recently has launched selfie-focused C5 Ultra to its Xperia line-up. The device has been packed with a bunch of really cool things, but the highlight of the device is its 13MP selfie camera on the front. The device already had hit the Indian markets with a price tag around Rs 30,000. But the question that may arise in your mind is, what does the device holds within for this price? Well let's find out how well is the Xperia C5 Ultra when compared to other smartphones priced at same rate and holds top place in smartphone market. Talking about the design of Xperia C5 Ultra, it follows the same design pattern of other 2015 Sony line-ups. 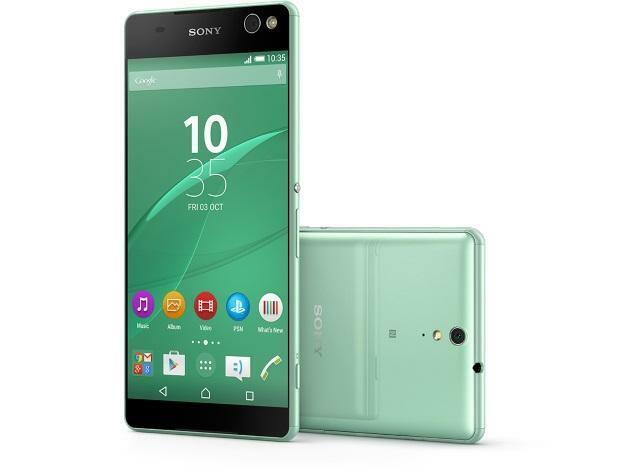 Sony had took a real advantage in using metal, plastic and glass for the design of Xperia C5 Ultra. The device holds a beautiful metal band around the device along with matt corners which indeed adds more premium look to the phone. There is also a well-rounded thin vessel along with the frame of the device. This very thin vessels gives an edge-to-edge screen which adds beauty to the 6-inch display. The rear part of the device holds non-removable back panel made of glossy plastic, which will give you nice look and feel, but at the same time it is slippery to hold too. As the C5 Ultra is a 6-inch device, it is slightly heavier at 190 g and this might tire your hand quite easily. Above the 6-inch LCD display there is a fantastic 13MP shooter along with an LED flash which might add up little more illumination to your selfies. Along the side of this front-facing shooter, there is the brand logo of Sony along with the typical sensors. The top and bottom lip of the front part of Xperia C5 Ultra holds earpiece and loudspeaker respectively. Over the left, there is a SIM card tray along with the microSD card slot which is covered under a nice and long flap. Whereas over the right side of the device, there is a metallic power button, volume controls made of plastics and a dedicated camera shutter button. On the top and bottom portion of the device there is a 3.5mm headphone jack and a micro USB port respectively. Over the rear side of Xperia C5 Ultra, the device holds another 13MP rear shooter along with LED flash, below them there is a secondary noise cancellation microphone and over the middle there is NFC logo. 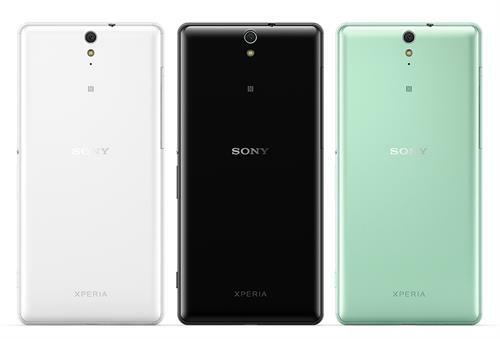 Finally there are 3 colors by which Sony delivers Xperia C5 Ultra in; the White, the Black and the soft mint color. In terms of display, Xperia C5 Ultra holds a nice looking 6-inch IPS LCD display which offers a pixel density of 367 ppi along with 1080x1920 pixels of screen resolution. The scratch resistant display of this device is powered with Sony Mobile BRAVIA Engine 2. The screen is nice and bright, fairly vivid and you can see it quite nicely even on outdoors. Moreover the display holds 75.9% of screen-to-body ratio along with fantastic viewing angles. While on the side of performance, Xperia C5 Ultra comes with an Octa-core 64 Bit Mediatek MT6752 chipset that is powered with a 1.7 GHz Cortex-A53 processor. Over the top of Sony interface UI, the device comes out of the box with Android 5.0 Lollipop. Moreover the GPU is powered by Mali T760MP2 along with 2GB of RAM, where running through the menu is fast and responsive and makes the multitasking butter smooth. 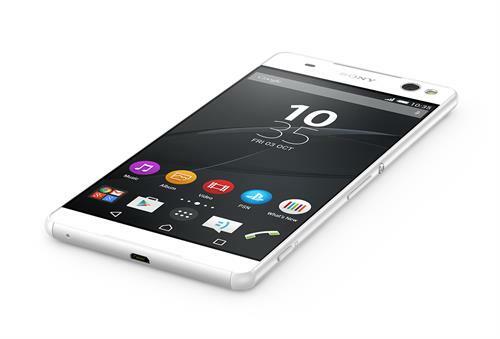 Xperia C5 Ultra comes with built-in storage of 16GB where the user accessible memory is limited to approximately 8GB, since around 5GB is used by the Android system. Another highlighting feature about this device is that, Sony allowed a microSD card support up to 200 GB. So if you are that kind of person, who need lot of storage space for keeping photos and videos, then this feature will be advantageous for you. Under the non-removable hood, Xperia C5 Ultra holds a Li-Ion 2930 mAh battery that delivers up to 714 h of stand-by and the company claims that the device is able to deliver a smooth talk time that would easily last up to 14 hours on 2G and 12 hours on 3G without having to charge again. But again, the non-removable back panel will give the users less accessible to their batteries, in case if they are looking to keep a spare battery with them while travelling. Other typical stuffs packed within this device includes Bluetooth 4.1, GPS with A-GPS and GLONASS, NFC, standard Wi-Fi connectivity with Wi-Fi Direct, DLNA and Hotspot. The device even supports 4G/LTE connectivity along with a capacity to hold dual nano-SIMs. The device holds 13MP front-facing camera with LED flash which helps in illuminated selfies along with Exmor RS Sensor. So the camera that are usually at back are now on the front without reducing even a bit of their quality. The rear-facing 13MP camera also delivers same sort of features along with full HD video capturing capability. Bunch of camera modes like beauty mode, dual-shot, HDR, panorama etc are delivered within the camera app and if that doesn't satisfy your need, then you can go over Sony's camera market straight away from the camera app and download other filters that pleases your mind. Besides all the features mentioned above the device has its market price of Rs. 29,990 and has already hit the Indian markets. But in terms of features that it is offering, it is slightly overpriced even when the chipset is from Mediatek. You can buy the device from online shopping sites like amazon, ebay etc. Keeping aside a few drawbacks, Xperia C5 Ultra is a good phone to go for. Firstly the Mediatek-based chipset coming in a 30K priced smartphone is really a drawback, since many other manufacturers are aiming their products with more premium chipsets under the same price tag. There is no con in the field of display that is offered by Xperia C5 Ultra and the edge-to-edge screen with very thin vessels gives a green sign to go for this device. Overall the device is up to the mark with a wonderful selfie camera, sleek design, 64-bit chipset, expandable storage up to 200 GB and lag-less performance. If you are in requirement of a large screen and if you are somebody who loves to take a lot of selfies, then this phone is definitely for you.